How much snow fell in your town after powerful nor'easter? 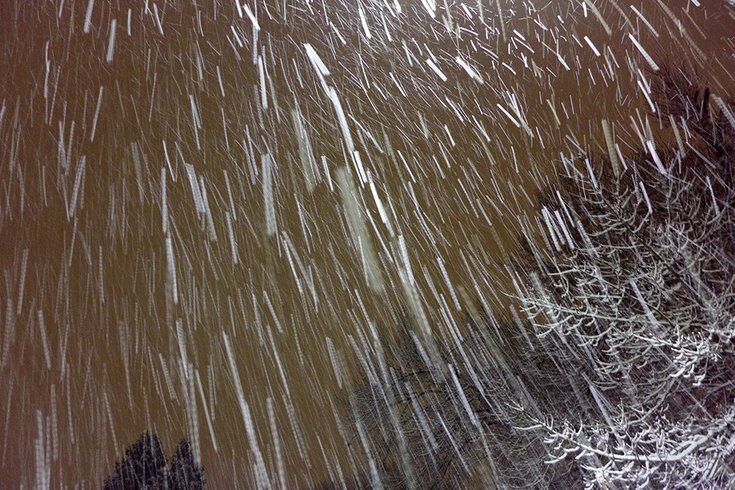 The snow was coming down like rain in many places around the region early Saturday night. Forecasters had called for a soaking rain and high winds ahead of a nor'easter storm that pounded the East Coast on Friday, but whether the storm would bring significant snowfall was far more uncertain. The heavy winds would account for much of the damage seen around the area, but the "bomb cyclone" also brought a surprise round of heavy, wet snowfall in Philadelphia and the suburbs that dumped anywhere from 1 to 9 inches across the region. An unofficial tally provided by the National Weather Service shows that 9 inches fell in Wayne, Delaware County's hardest-hit town. Bryn Mawr received 8.5 inches while Berwyn led the way in Chester County with 7 inches, according to the NWS. Most suburban areas received 2 to 6 inches, the NWS data suggests. Philly received 1.4 inches. The storm slammed parts of the Poconos and even prompted Gov. Tom Wolf to call on the Pennsylvania National Guard to assist with local storm response. Coolbaugh Township (23.6 inches) and Tobyhanna (20 inches) bore the brunt of the snowfall in Monroe County, where totals varied widely. The snow even fell along the Jersey Shore, which received some flooding as tides were exacerbated by a full moon. The NWS' list of snow totals can be found here.